Audio Training Program: Transitions and Transformations - Thriving in the Midst of Change from Ready2Go Marketing Solutions, Inc.
No one can argue that self-confidence is important, yet many people struggle to find it. We know that people who possess self-confidence have more opportunities for success, and success leads to enhanced self-confidence. It’s a beautiful cycle. But, the opposite is equally true. People with low self-confidence struggle more with success, and lack of success contributes to low self-confidence. Developing confidence is a continuous process that takes work, yet the benefits are life changing. 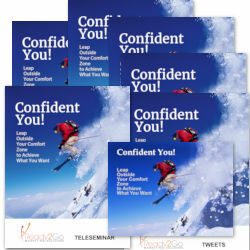 This 6 part audio series is designed to help your clients and prospects tap into their natural confidence, learn skills for increasing their confidence, and show up in the world as the magnificent people they are. 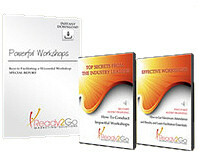 The audios are 4-6 minutes long and filled with ideas that will help you and your clients become more confident and successful. Audio Training programs are a powerful tool for keeping in touch with your clients and prospects, and delivering great value. 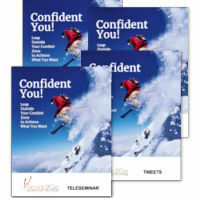 Order the Confident You! audio training program today.